Anna-Karin Karlsson is a Swedish high fashion eyewear brand. 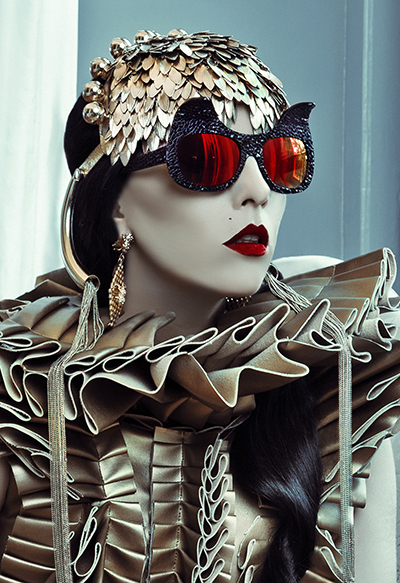 The designer Anna-Karin comes from a world of music and arts, which is reflected in her eyewear designs. 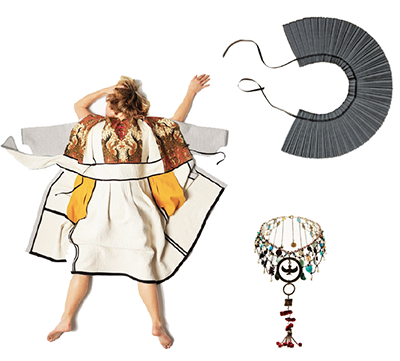 In 2013 Anna-Karin won the Swedish Fashion Awards in the category Best Accessory designer. Today her designs are worn by artists worldwide such as; Lady Gaga, Rihanna, Usher, Faye Wong, Andy Hui, to name a few. The Greta collection consists of dresses and blouses – all styles come in many different colours and textures. The materials selected are always of top quality silk. This adds a luxurious feel and fall to the garment. The Greta dresses and blouses are classics and never go out of style. Instead we play with colours and prints that work for different occasions and moods. A meeting place, a show room and a shop featuring products from the participating creatives, coveringa wide lifestyle spectrum from fashion accessories to home interior products and electronics! Come and hang out, check out an inspiring array of products and meet the designers and the creatives behind them. 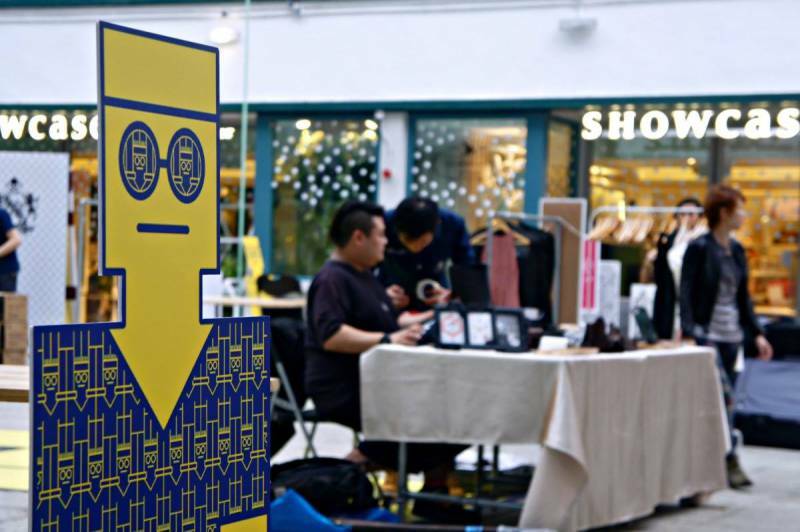 “Creative Swedes - Hong Kong” is an initiative by SwedCham HK to gather the Swedish creative entrepreneurs under one umbrella and to bring together a showcase of what Swedish style and creativity can accomplish in the dynamic settings of Hong Kong. 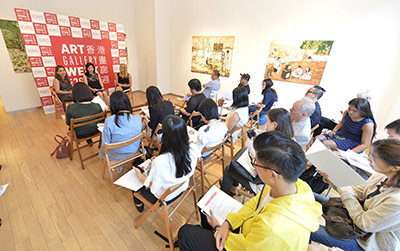 The initiative aims to increase awareness of Swedish designers & creatives active in HK, enable new exciting meetings and thereby create new opportunities for those involved. JOHN HENRIC is a Swedish gentlemen's label established in 2008 by two visionaries designers. 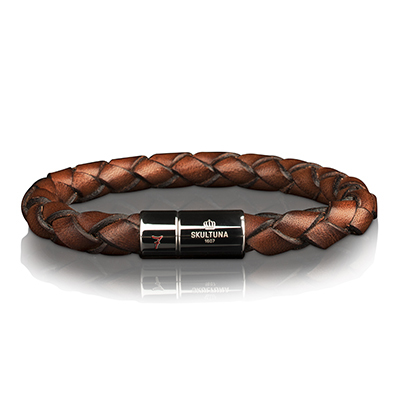 In just 6 years they have created a concept that boost one of the biggest assortments of mens accessories in Europe. Through their design work they continuously re-examine tradition with a touch of luxury and elegance. All garments in John Henrics collections are always created with traditional craftsmanship and they never compromise on material or tailoring. This label is always in pursuit of the perfect fit and comfort. John Henric`s key concept for achieving dressed fashion with timeless elegance is to always focus on details and simplicity. Established in 1607, Skultuna was founded by King Karl IX of Sweden. For over 400 years Skultuna has produced objects in metal of the highest quality, always with the same sense of timeless design. Today Skultuna prides itself as a Royal warrant holder with an appointment to His Majesty King Carl XVI Gustaf of Sweden. 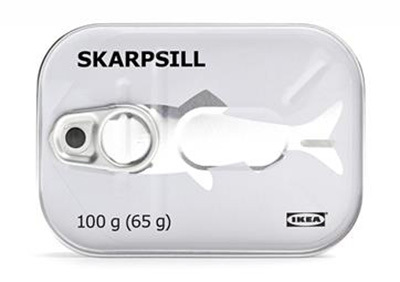 Skultuna designs are available in the world’s most famous and well-liked retailers with a total of 250 international retail locations, including Selfridges (England), Barneys New York (The U.S.) and NK (Sweden). Stutterheim is a Swedish label that is reinterpreting the traditional raincoat worn by generations of Swedish fishermen. Focusing on finest craftsmanship, materials and details, the coats are hand sewn by one of their skilled seamstresses. 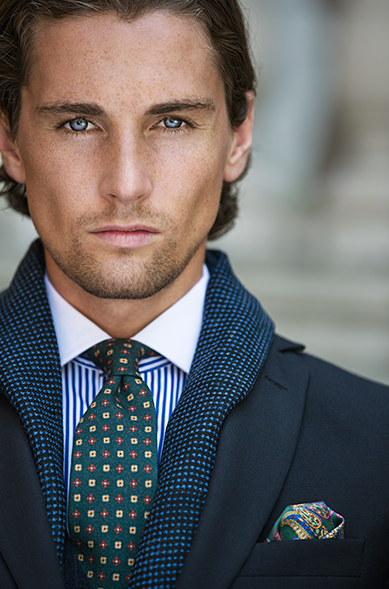 The coats with all its taped and sealed seams come in very best quality, Hand made and with a discreet, classical cut. Each Arholma coat is signed and numbered by the seamstress to ensure the quality matches the very highest of standards.Today, STUTTERHEIM raincots are available in the world’s most famous and well-liked retailers as Selfridges (England), Barneys New York (The U.S.) and NK (Sweden). 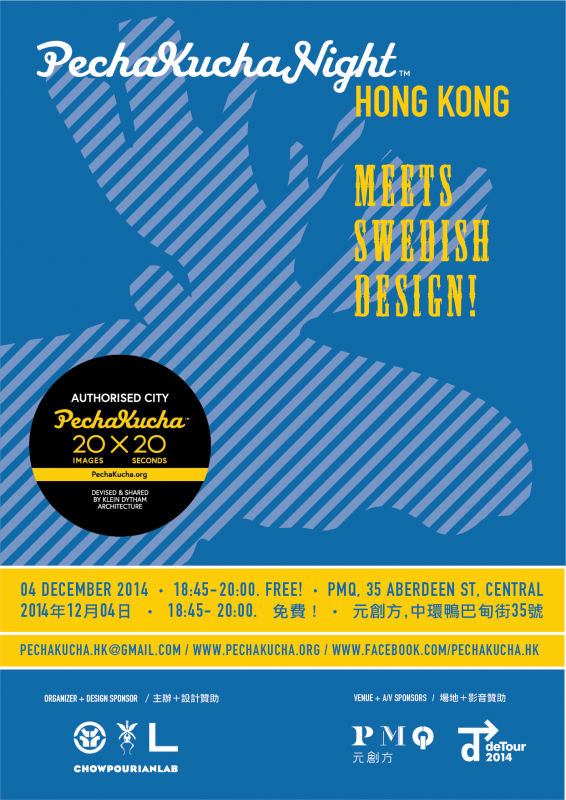 From end November to late December, we'll be bringing the best of Swedish design to PMQ! 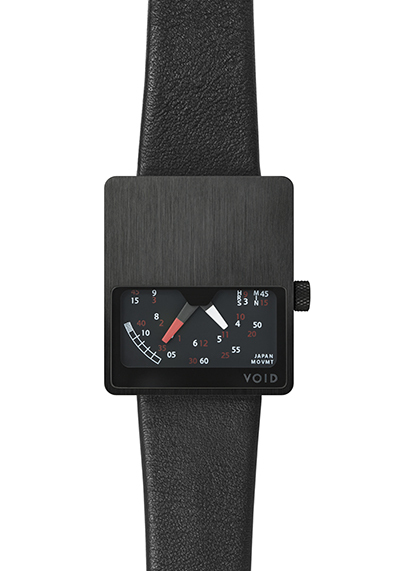 VOID Watches is an independent wristwatch brand - simplicity is at the core of its design philosophy. 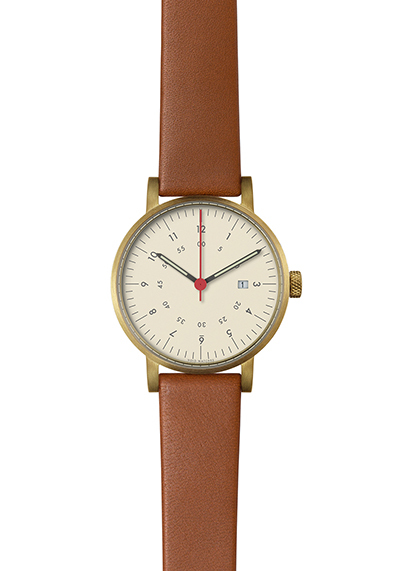 squarestreet's multibrand concept features a selection of Sweden's best brands - squarestreet's own in-house Minuteman Watches and iconic leather goods, Fjallraven backpacks & bags, Cornelia Webb jewellery, as well as Normal & Bulbul Watches, Hammer & Needle leather accessories and Deco Outfitters. This pop-up shop promotes Swedish food and drinks, and designs. Swedish F&B brands, furniture, home electrical appliances, lighting, and more will be showcased! 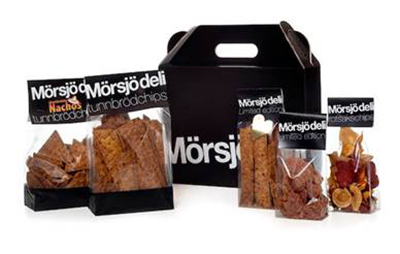 Free publications about Swedish food and Swedish cooking will be distributed. 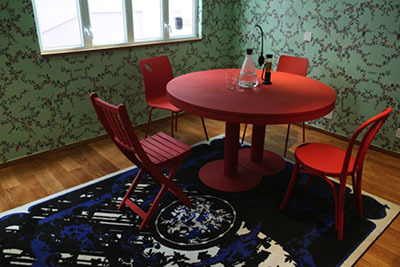 Famous Dutch furniture brand Droog has recently launched in Hong Kong Sheung Wan design district. 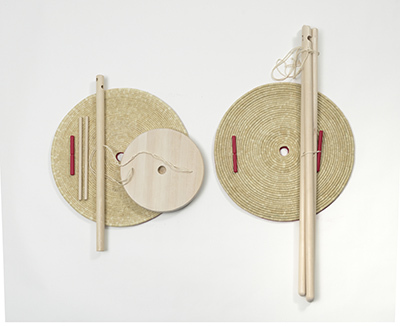 To celebrate this, Droog specially designed a collection of Chinese inspired products. This exhibition also display a collection of products inspired by the Rijksmueseum collection, which was a campaign which they release their complete 200,000 art pieces from their collection for the public to download. 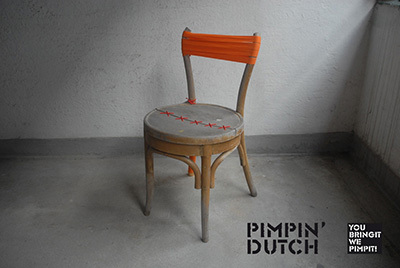 This shows how Droog modernize century old artworks. Renowned photographer Jimmy Ming Shum is to impress the audience with the Beauty in Simplicity of the "Hong Kong Girls" comprising local celebrities and fellow Hong Kongers. The "Yahoo Flickr x Jimmy Ming Shum" Photo Exhibition is the celebration finale of the Yahoo Hong Kong 15th Anniversary themed "For Here, We Dare" aim at capturing the core sentiments and love of each HongKonger for the city and paying tributes to the daring local pioneers in the creativity space both online and offline. LIC is an interactive creative agency that provides Augmented Reality campaigns for digital devices. 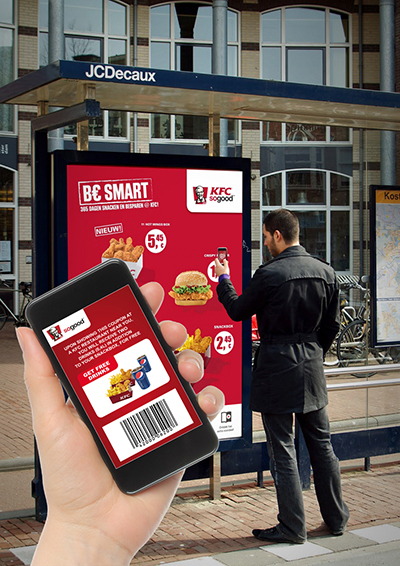 Based on the free Layar app for your smartphone, printed materials like your business card or company logo can be enriched with digital content, like a video and connected to your online channels. 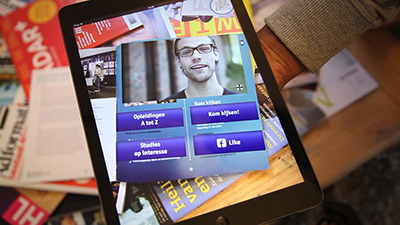 The Layar app is the global leading AR app and has over more than 40 million downloads. With offices all over Europa and Asia, LIC is able to deliver interactive concepts in nearly every market. Please visit our website to learn more about LIC and interactive concepts for your business! 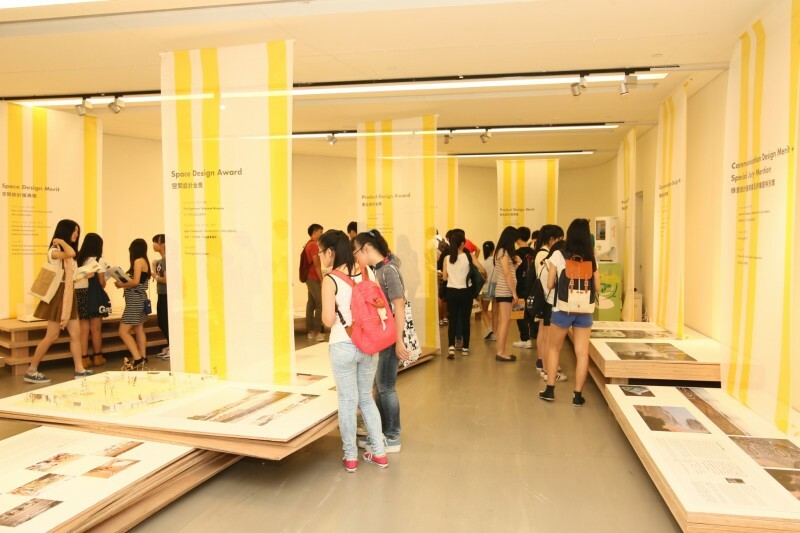 This exhibition showcases prototypes and idea proposals from the students of Raffles. 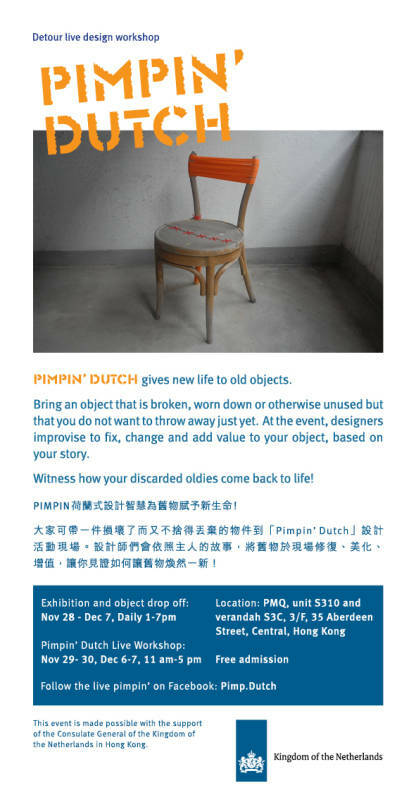 Aiming to promote Design as a way to inspire sustainable living, the exhibit follows the theme of up-cycling to explore creative new ways of bringing value to discarded items. From conceptual chair design to product boards to garments, the showcase encourages the visitor to re-think sustainability. Invasive species of plants, unwanted and waste materials are a growing challenging problem that affects every continent. 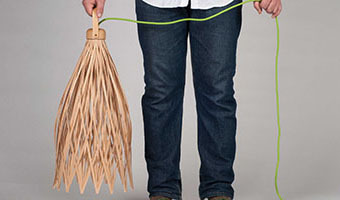 Coiling is a basketry technique that is used globally, and can be done with almost any material and without tools.By combining these unwanted materials with a universal basketry technique this problem can be addressed and also generate an income for the communities affected by this. 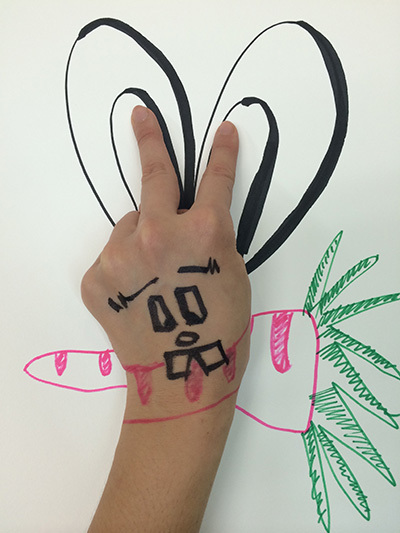 MobArt has chosen this shape as the canvas for artists’ creativity. We hope to use this “Circle” as a crystal ball to explore what's important to the artists. For MobArt, it is “The Circle of Artists”, as we strive to build and promote a community of creative talents. 50+ locally based artists have been invited to use the “Circle” to express themselves, some artists will be creating works live at PMQ. You are cordially invited to think outside the box, and see within the circle. 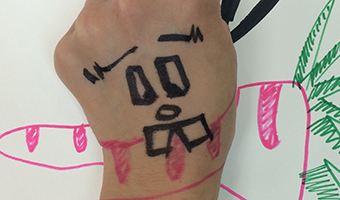 MobArt strives to foster an environment that supports and nurtures creative talents. Our ambition is to promote art as a lifestyle and act as the bridge between artists and those who value and seek creativity. Carl Hansen & Son is the largest manufacturer of furniture designed by Hans J. Wegner. 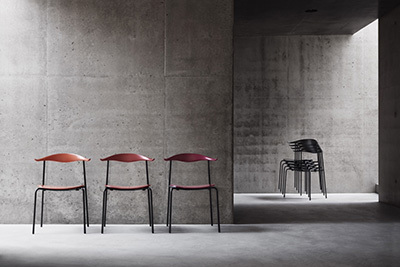 The company continually develops its portfolio by gathering iconic furniture classics in their portfolio, such as The Wishbone Chair by Hans J. Wegner, The Safari Chair by Kaare Klint, The Folding Chair by Mogens Koch and The Colonial Chair by Ole Wanscher. Iconic classics, that are all characterized by high-quality and sustainable craftsmanship. 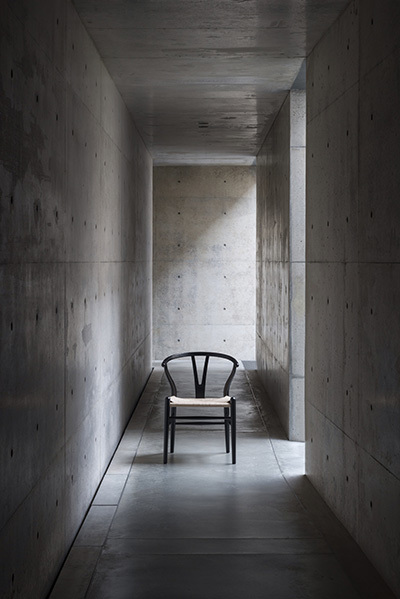 On the international scene, Carl Hansen & Son collaborates with the well-known Japanese furniture designer Tadao Ando. 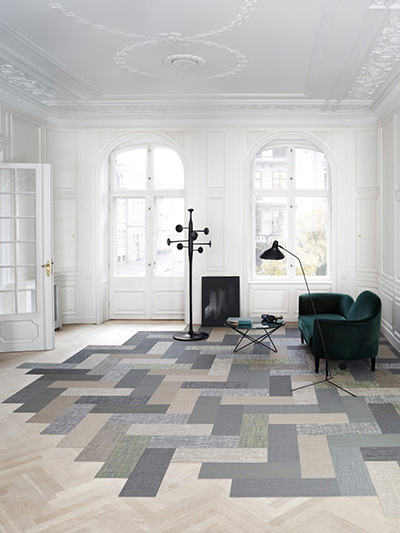 BOLON is a revolution in flooring. 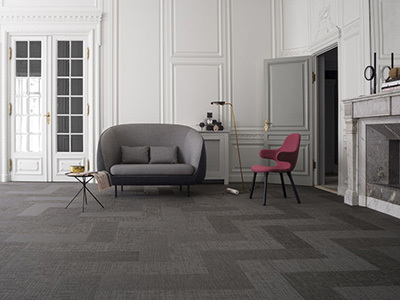 Used by some of the biggest names in international design, and developed deep in the forests of Sweden’s West Coast, BOLON gives architects, designers and developers unlimited potential to create inspiring, long-lasting flooring projects. BOLON has partnered with the students of the reknowned Swedish Beckmans College of Design. The students have created a series of custom pieces using BOLON material. The pieces will be exhhibited during BODW. Get inside the mind of the most famous swede in the world, the botanist Carl Linnaeus, and witness the floral world come to life into dreamy visions. 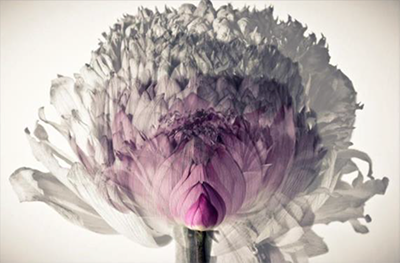 By combining self-written poems with photos of human beings in different settings, von Hofsten is illustrating different flowers as a way to give life to Linneaeus legacy. 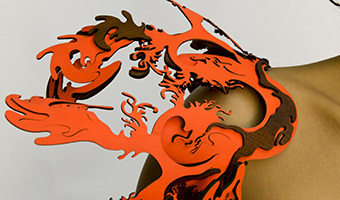 The Tree of Design is a growing artifact dedicated to exploring the meaning of design. During this on-going open workshop, an interactive tree-shaped sculpture will grow, visualizing the different perspectives of design. We invite everyone to co-discover the value of design, help create a common understanding of design and contribute to the big picture of design through ideas, thoughts, drawings, feelings and experience. The growth of the Tree of Design will be documented throughout the week and afterwards. Come create and grow with us! Run all day everyday, everyone is welcomed. future vision for Berge. However, we quickly realized that the staff didn’t have a common understanding of the company’s vision. In order to help Berge to create a corporate culture and further to achieve their company goals, we designed an interactive book that firstly serves as an organisational handbook and secondly as a toolkit to help Berge to improve and communicate their organizational culture. 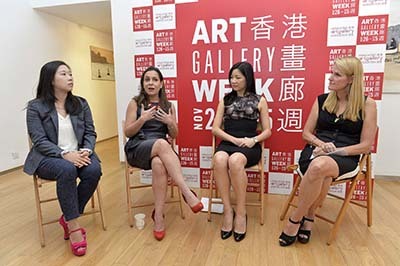 Art Loop is delighted to announce that we are hosting an interactive art project at the Hong Kong Art Gallery Week. 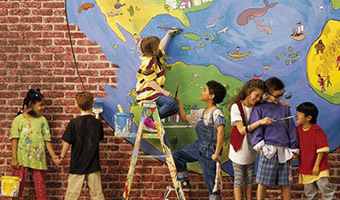 During the workshop student will select the everyday object and work with their classmate to create a graffiti to fill up the whole room, the project will involve with camera and video, at the same time there will be an introduction of art history. The workshop is FREE of charge. Asia’s licensing market is growing fast in recent years and has significant contribution in the global licensing market. Art licensing is starting to emerge in the industry and there are huge potential and lots of opportunities in the art licensing market in Asia. Professionals will give an overview of the industry, analyse the recent market trends, share how designers could commercial their works through licensing, and introduce the essential of intellectual property rights protection in doing art licensing business. How Hong Kong has been represented internationally so far and how Hong Kong art structures can contribute for a continuous and better representation. We all born equal, the language of art transcends all boundaries and difference to soothe the human heart and enjoy the rich legacy of beauty. We all born equal, the language of art transcends all boundaries and difference to soothe the human heart and enjoy the rich legacy of beauty. Dialogue will be conducted in Cantonese. Link to another programme: Arts by Artist with Disabilities matter, in every Moment, in every Matter. Hong Kong people lead fast-paced lives as conventional wisdom dictates that to slow down is to be disadvantaged. However, there may have been advantages because of my taking a slow “slow” pace in the creative journey. I love “fishing” because it is an “extremely slow” activity. Nobody would consider me “slow” while I am fishing, and the fresh air relaxes me for the whole day. I am particularly fascinated with hooks of different sizes; I am curious about their motions under water and how fishes get hooked. I gradually drew them out of interest as I feel there is an exciting story behind each and every hook. Using different colour combinations on material of various sizes, they tell one stories after another which you may be able to catch. In a world without sound, Apple observes with her eyes, experiences with her heart, feels with her hands, and expresses her most genuine feelings with paintings. Painting opens up windows of opportunities for Apple, and she uses her works to open a pathway for others to the world without sound--with the hope for all of us to reflect on what makes up a perfect life. Chocolate Rain is inspired by childhood dream and wonderland adventure. 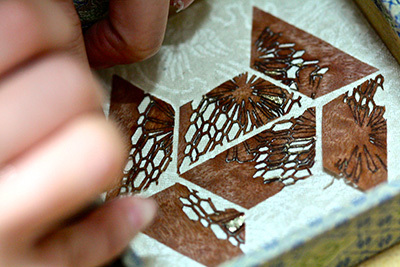 Each piece is unique and handcrafted with mix medium and special artistic elements. Prudence is the founder and designer graduated MA in Central St. Martins. She received the 2010 Ten Outstanding Designers Award and honored as one of Hong Kong’s Ten Outstanding Young Persons in 2012. Chocolate Rain design has exhibited and distributed internationally. In 2010, BRITISH MUSEUM x Chocolate Rain Collection launched in London. Since 2008, Fatina Dreams Ltd was founded in London and ran global licensing projects. Now Chocolate Rain has flagship stores in Hong Kong and Singapore. 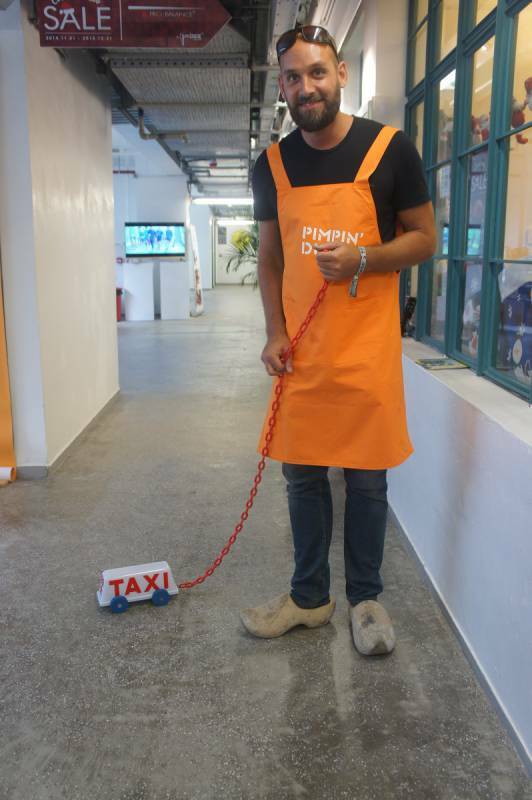 Samantha Li, the creator of “P on P” art form, graduated with a double major in Fine Arts and Sociology from the University of Hong Kong. 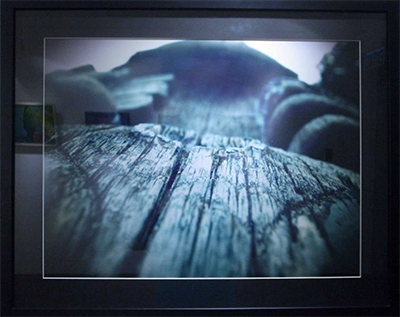 She is chosen as one of the first artists from the Hong Kong Jockey Club Lei Yue Mun Plus. Samantha sees the world with curiosity and imagination. She combines photography and painting into a new art form – with a hope that people can share her thoughts through her artistic prospects. Thereupon, the original “P on P” (Painting on Photo) series of artworks is created. 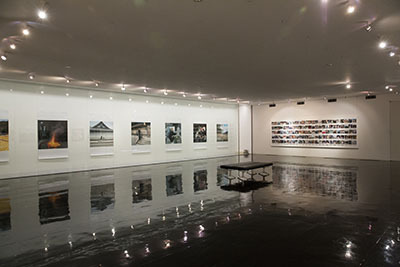 The series were exhibited in the City Hall, Jockey Club Lei Yue Mun Plus, Gallery by the Harbour, Hong Kong Cultural Centre and Hong Kong Central Library Exhibition Gallery, Musée du Louvre (Paris, France), etc. 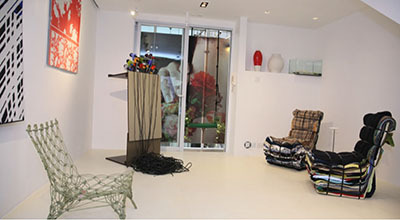 Dr. Chan is the founder of arQstudio Ltd and the HK room in PMQ. 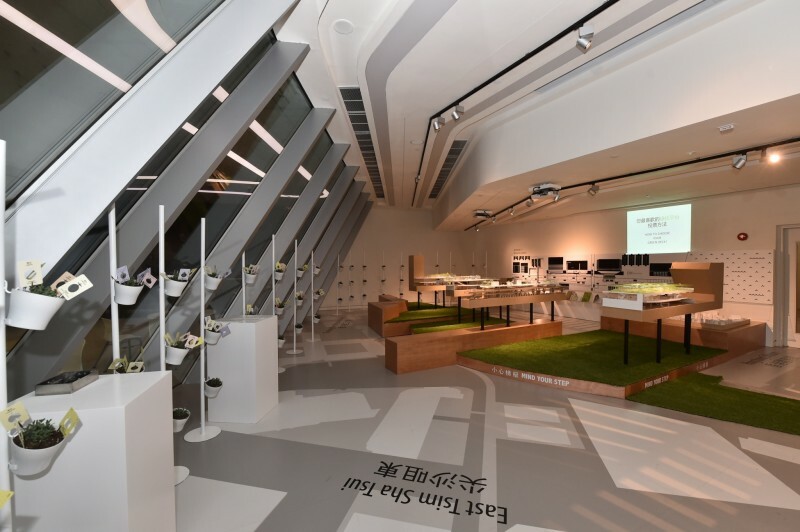 From 2008 to August 2014, she was the Director of Design and Project in Hysan Development Co. Ltd. She has completed the LEED and Beam Plus pre-certified Platinum project, Hysan Place and a number of major assest enhancement project, such as the Lee Theatre renovation. Before joining Hysan, she used to be a design director in P&T Architects and Engineers Ltd. and won many local and international awards for her projects. She was also the recipient of Hong Kong Young Architect Award in 1993 and recently, the winner of Tai O Twin Bridge Design Competition in 2013. Apart from work, she actively participates in community works and currently being a Director of Hong Kong Architecture Centre. She is also an artist, teacher and author of a few books. 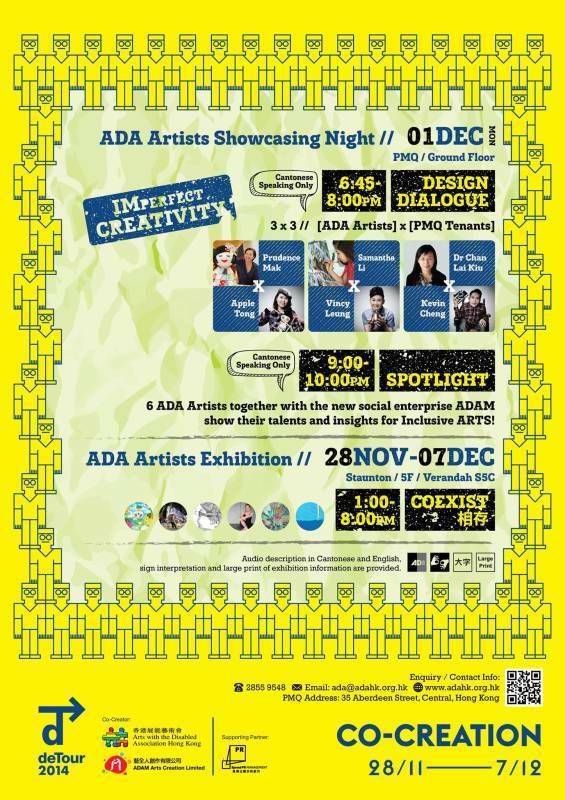 ADAM is a newly established social enterprise set up by Arts with the Disabled Association Hong Kong (ADAHK) in 2014. This new artist agency aims to create job opportunities and increase income for artists with disabilities in Hong Kong. 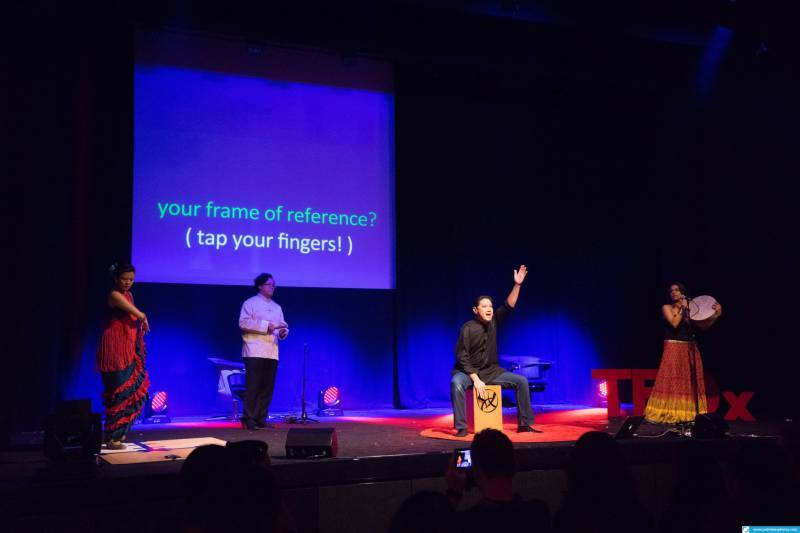 Shouldering the mission to promote creativity and social inclusion, ADAM aims to create business initiatives by synergizing the talents of artists with disabilities in both visual and performing arts to contribute to society. Viewers are inspired through painting and photography to reflect on what “shortcomings” are. There are physical “shortcomings” in the 8 artists with disability. Each artist will select a colour considered to be most representative of the person. The body part with which these artists present their artistic skills will be painted using the colour while the resultant photo will be retouched with Photoshop so that it is black and white except the painting. One may have cursory notions of the “shortcomings” for the artists but it is not always noticeable. When their artistic abilities are clear in sight, will you still insist on finding the so-called “shortcomings”? This series of photographic works make use of abstract artworks to present and reflect on aspects of realities in Hong Kong. 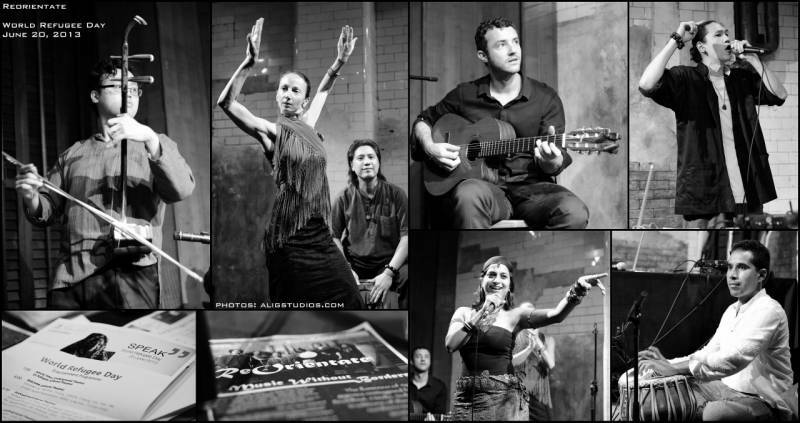 Arts act as a mirror which directly reflects the lives of people. When faced with pressure and the burden of daily living, people have no choice but to gradually retreat into their inner selves. However, arts could also be a bridge of communication allowing us to experience and savour the world in which we discover deep resonance. Although envelopes are often disposed after the content were extracted, I am fascinated by them. Seeing them as friends, I gradually made pencil sketches on them out of interest. Envelopes became records of my moods during fleeting moments with the postmark putting a timestamp on these soulful sketches. Hardly a sheet of snow-white paper, these envelopes are tidy and spotless enough. White envelopes contrasted with black pencils became a dialogue of black and white, making up a monochrome world. Art is the key to my heart instead of some unapproachable luxury. Perfectly sketching my moods on an imperfect sheet of paper as lasting memory—would you say this is perfect or not? 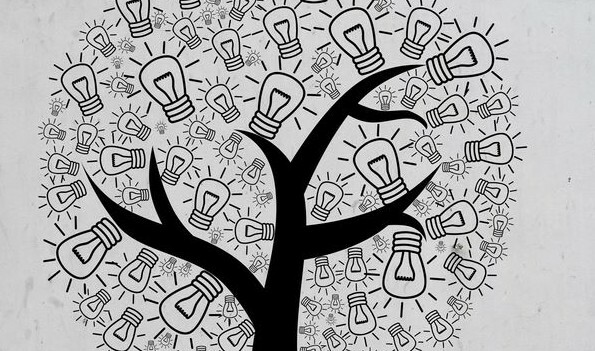 The design dialogue will explore design thinking that focuses on meeting social needs, as well as design innovations that improve the livelihood of the people and the environment. The speakers will also look at innovative design that attempts to offer solutions to problems of mankind and to possibly change the world. 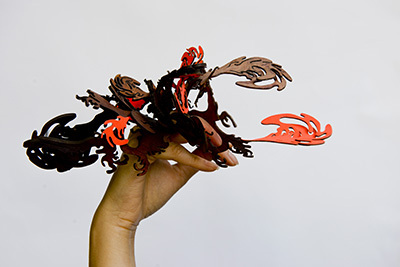 Colab was established by founders of CoDesign, Eddy Yu and Hung Lam in 2011. CoLAB is a collaborative platform for social innovation through design. Initiated by CoLAB in 2012, I’MPERFECT is a creative movement that encourages appreciation in our lives. Through creativity and design, we work to consciously improve the use of our limited resources, self-recognition and people relations to create a greener and more harmonious society. Dylan Kwok earned his Master’s Degree from Finland’s Helsinki University of Art and Design, focused on urban spatial topics and Nordic furniture. In 2011, he was selected as a rising star in Perspective magazine’s 40 under 40 designers and Hong Kong Young Design Talent in 2009. 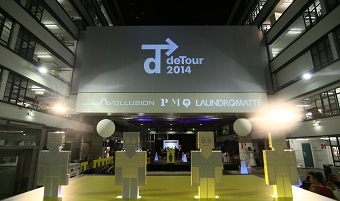 As one of the early members at Jockey Club Design Institute for Social Innovation, he worked on several major projects such as 10 day fest 2013 (www.10dayfest.hk) 、detour matters 2013 (www.detour.hk). 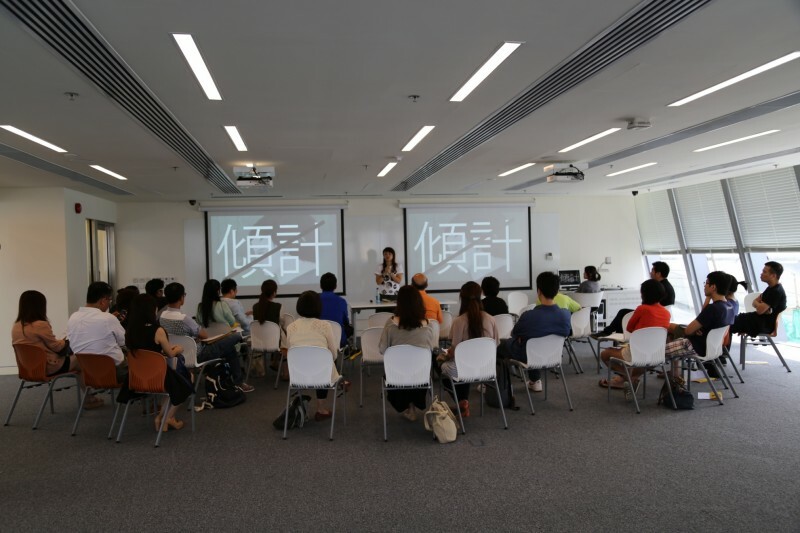 Dylan is now teaching hands on design courses at Macao Polytechnic Institute, and redirect his energy towards quality driven projects. June Lau is a product designer, graduated from Loughborough University in the year 2013. She has worked in a range of different companies and countries and has recently started her company, Above Blue Design. 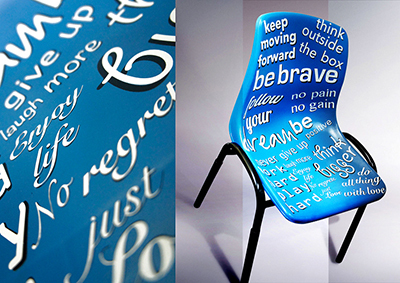 She uses design to positively change people’s behaviour. Her ambition is to improve the quality of life. Finding solutions for people, especially the elderly or disabled, is her lifetime career goal. 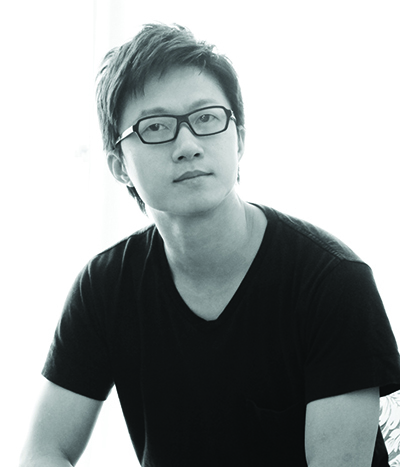 Alvin Yip is the Director of Jockey Club Design Institute for Social Innovation. His curatorial projects break new ground at home and internationally, notably DETOUR (2009,10,13), Hong Kong pavilion in Venice Architecture Biennale (2006,2014), and Asia's first Social Innovation Festival (2013,2014). Alvin was a winner of Hong Kong Institute of Architects Award, Rome Prize, Ten Outstanding Young Persons Award and Chief Executive's Commendation for Community Service. The leading startups platform/community in Hong Kong, StartupsHK, will showcase how to leverage the latest technology to run your design businesses. This would range from marketing to accounting to stock management to driving exposure to potential customers. If you find yourselves wanting to focus more on design and less on business operations, this is the seminar to attend. We will teach you methods on lowering your stress levels in managing your business and free up your time so you can focus more on your designs. We will show you methods on utilizing social media and other technology to showcase your brands to potential and existing customers. If you own or manage a retail shop, this is the event you shouldn't miss. In the last few years, a number of heritage conservation and revitalization projects have been completed and are now open to public. At the same time, a number of similar projects are in the planning, development and implementation stages and, hopefully, there are many more to come. There are valuable lessons for the projects in development and in the pipeline to learn from the completed projects and the aim of interactive knowledge sharing forum is to encourage the transfer of knowledge between the different stakeholders - owners/operators, designers and users of heritage buildings in Hong Kong. 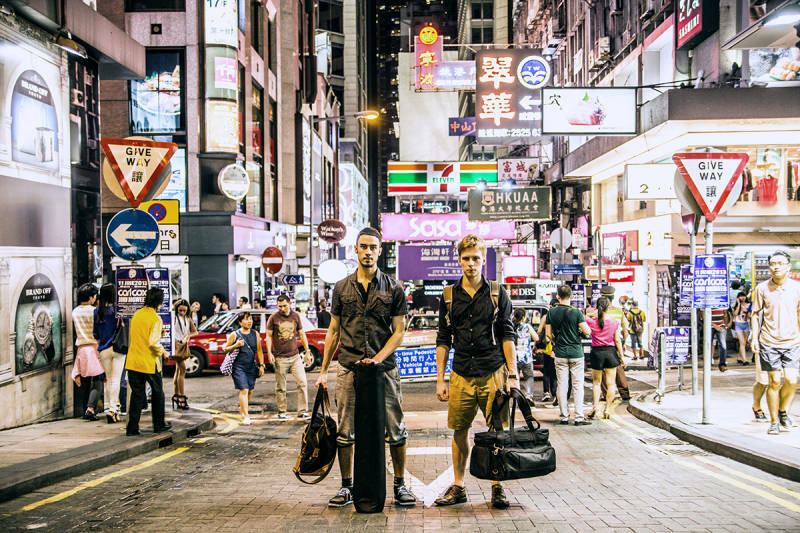 ‘Designers Inbetween’ is a revealing documentary about the inner workings of the creative industry, its inhabitants and the challenges faced, set against the urban backdrop of Hong Kong. The documentary features a collection of top creatives from various fields of the design industry including Michael Young, Henry Steiner, to name a few. This film is the first of its kind and quickly takes viewers into the heart of the city as it weaves an indelible magic by first-time documentary filmmakers, Jonathan Ramalho and Oliver Lehtonen. Johan has more than 15 years track record of brand and design management from Europe, US and Hong Kong and often named among Hong Kong’s top 10 designers. He obtained a master degree in Industrial Designer at Konstfack and bachelor at Umea Institute of Design UID, Sweden’s two internationally recognised design institution and was the receiver of Konstfacks large scholarship award on graduation in 2001.
to name a few he has developed a reputation of having strong and iconic aesthetics, highly educated market understanding and the ability to take advanced concepts into production and onto the market. Johan is regularly invited as and lecture at leading design institutions, both in Sweden at Konstfack and the School of Design of Hong Kong Polytechnic University. Elaine Ng Yan Ling, also known as the ‘techno fairy’ by Elle Decor, founder of THE FABRICK LAB, brings together textiles, electronics, biomimicry, interiors and installations. Elaine is a British Chinese visionary multi-media artist and a graduate of Central Saint Martins in London where she earned her MA Design in Textile Futures with distinction. 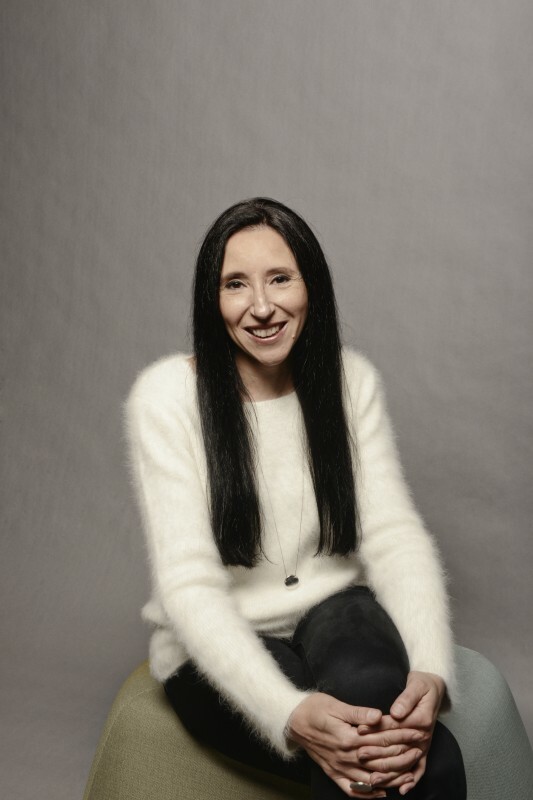 She is a TED fellow and is globally recognized, having worked with international design companies such as Nissan Design Europe and Nokia Design Beijing with multi design awards. Her magical work has been exhibited at V&A and Science Museum in London, Textielmuseum in Netherlands, Harbour Front Centre in Toronto, Espace EDF Art Foundation in Paris and Wuhao, Beijing, Moleskine global galleries and Dubai. Table-talk aims to join HDK, Hong Kong based creatives, professionals, students and visitors at one table to share food and thoughts around design and HDK. The idea is to encourage an honest open-ended exchange of thoughts in a relaxed environment. This approach showcases the teaching philosophy of HDK and demonstrates how idea generation and personal growth do not only emerge from lectures and formal discussions, but also from everyday life and within the close community of our school. FERMATA: We wish to liberate people from their hectic urban life by offering them a precious pause. 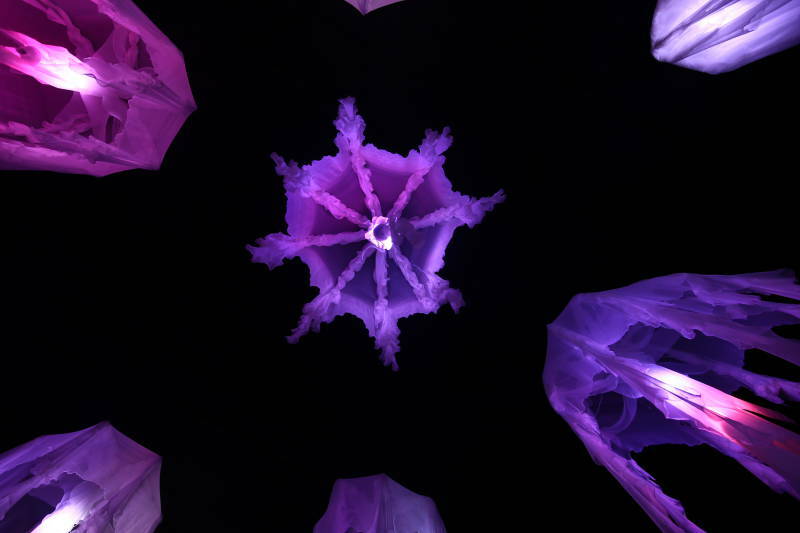 Our art installation - “Fermata” - will engage the mood of people by orchestrating a tempo with a transforming mechanical structure, lighting and music. 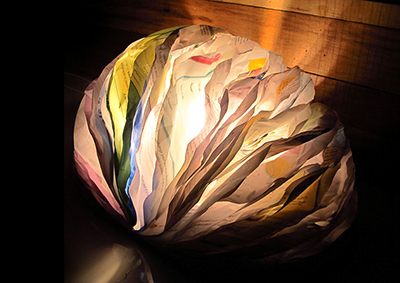 As its name depicts, the artwork will gradually slow down the tempo of environment and approach a moment of serenity. SKIN+BONES: Both architects and fashion designers are preoccupied with space, volume and providing a shell for the body as protection from the environment and vehicle for social and cultural evolution. 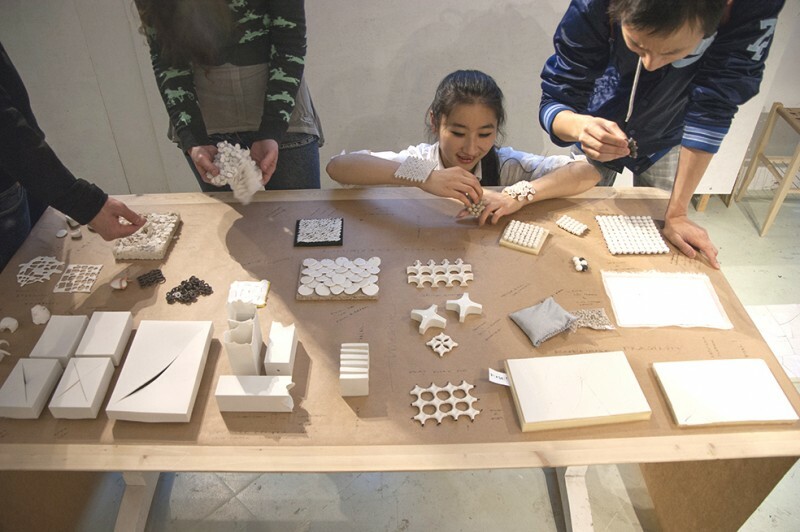 We are leveraging this opportunity to explore the parallel practice among architects and fashion designers, as well as engineers and media designers, through synergizing the “skin” and the “bones” in this co-creation experiment. DESIGN PILOT is organised by Jockey Club Design Institute for Social Innovation (J.C.DISI), which is a platform to bridge the gap between social enterprises and designers, as designers and design service might not be immediately approachable for first-timers and outsiders. 10 DAY FEST, the annual signature programme presented by the Jockey Club Design Institute for Social Innovation (J.C.DISI), features a variety of exhibitions, workshops, movie screenings, salons, seminars and lectures under the permanent theme of “design and society." Life story of Van Gogh by local young artist and exhibition of Impresionissm style student works inpired by Van Gogh. 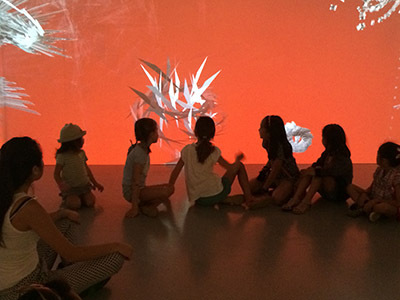 Swiss Art Studio host a workshop for children (age 3 to 16) to ""recreate"" in Van Gogh style. A large canvas is hung on room S501 for everyone to ""recreate"" Van Gogh portrait. In this ephemeral city taking on a life form of its own, how do we observe, archive, reshape and respond to the city? 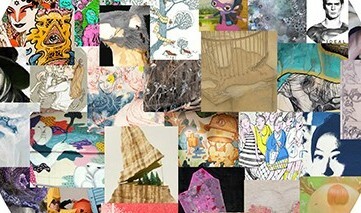 Through drawings and photographic works, six creative artists take the audience through the cityscape and the artists’ inner spaces based on their unique life experiences. Their works invoke our imagination in interacting and coexisting with the city. 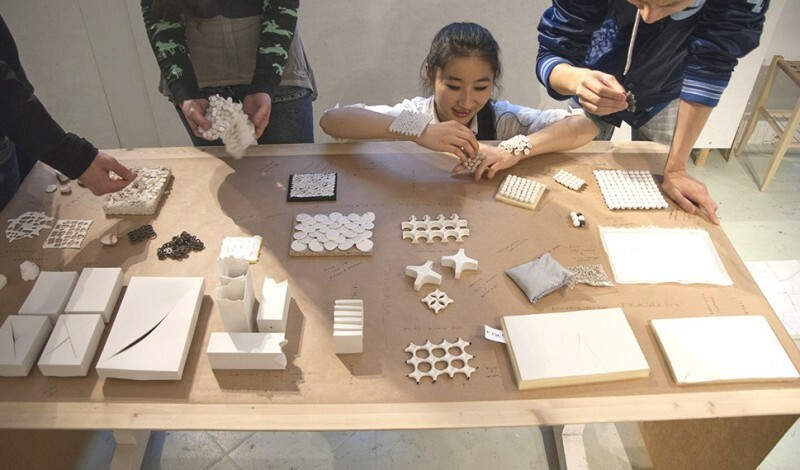 visitors to participate in a playful workshop, aiming to offer a child perspective in the making of an experimental and collaborative design process. During the course of a day visitors are invited to take on some heavy Scandinavian weather and get an insight to the creative storm from which ideas are born. A dialogue between renowned Japan multi-disciplinary designer, Shun Kawakami and Hong Kong born photographer, Jimmy Ming Shum, in sharing their experience and fun of designs/creator collaborating beyond borders. 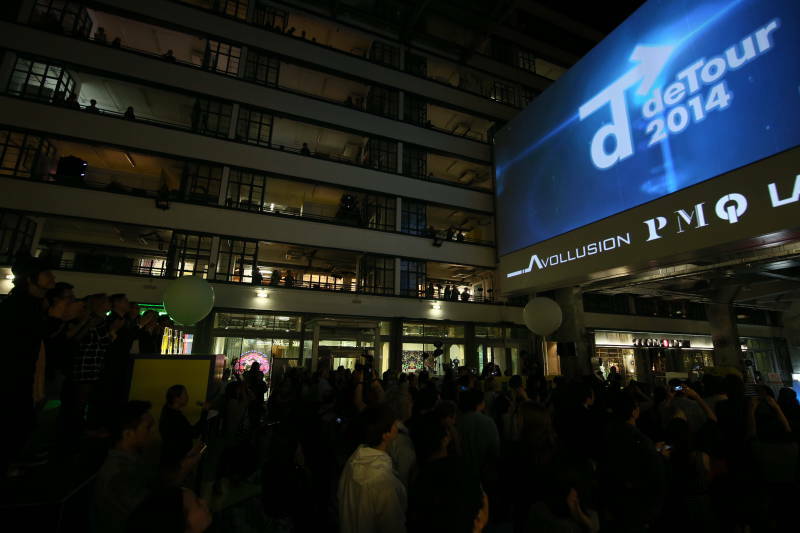 PechaKucha Night Hong Kong is organised by ChowPourianLab, a Hong Kong-based design studio which develops independent products and brands, and offers consulting services in design concepts, brand communication, research, writing and storytelling. DFA awardees will share their design inspirations, ideologies, dreams, tears and joy during their creative process. AMENPAPA’s vision is to create spiritual clothing: Fashion as a canvas to boldly and playfully express spiritual truths. We believe there is a beautiful soul in each of us. You may not even know how beautiful you are. We are a brand willing to take tremendous effort in creating a story for every single piece of product, drawing inspiration from the Bible and storytelling through fashion and graphic design. Since 2010, from a weekend hobby to a fashion brand selling at over forty stores in Asia, AMENPAPA is driven by a child-like hunger to create something that matters to the Spirit, and have amazing fun while doing it. 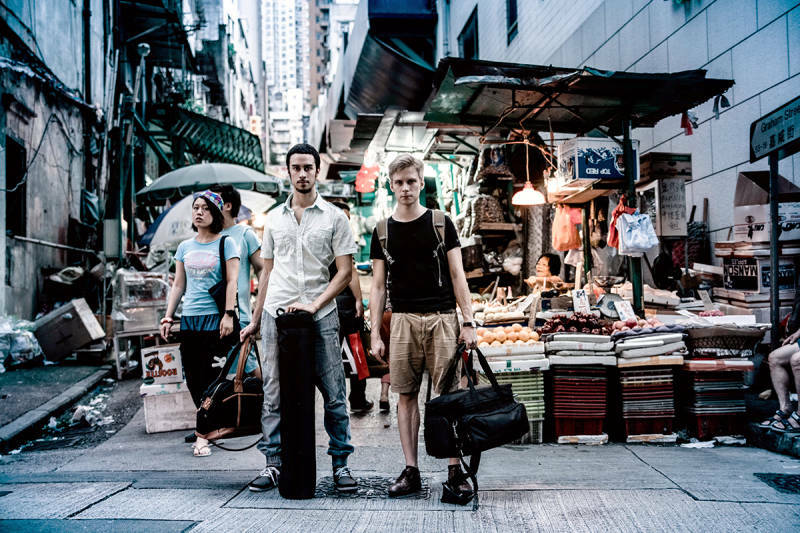 A New Media Arts Creative Team, founded by Escher Tsai (Taiwan) and Keith Lam (Hong Kong) at 2009. 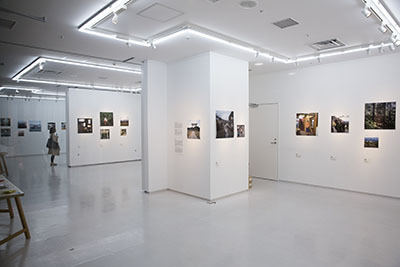 Their work have been invited to exhibit world-wide including Japan, Italy, etc, and also awarded in various of art festival and design award including Japan Asia Digital Arts Award and Design For Asia Award etc. 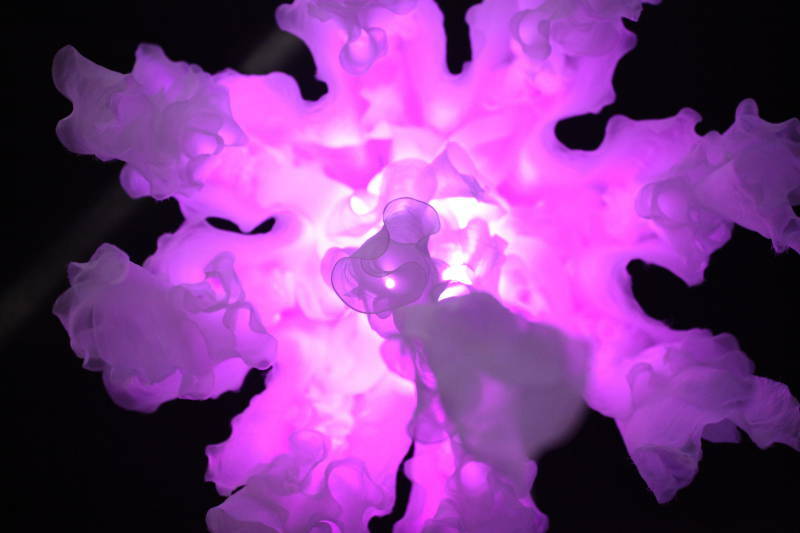 By mixing-and-matching of Digital-Physical, they transfer the invisible and digital into a tangible and visible texture, creating works with combination of digital and analog, linking the digital and physical from two heterogeneous dimensions. Co-founder and Artistic Director Keith Lam is the award winner of PRIX Ars Electronica 2008, Japan Media Arts Festival, and was selected as "40 under 40" of Global Creative Talent by Perspective Magazine. Keith is now the Chief Artistic Consultant of Shenzhen New Media Arts Festival. 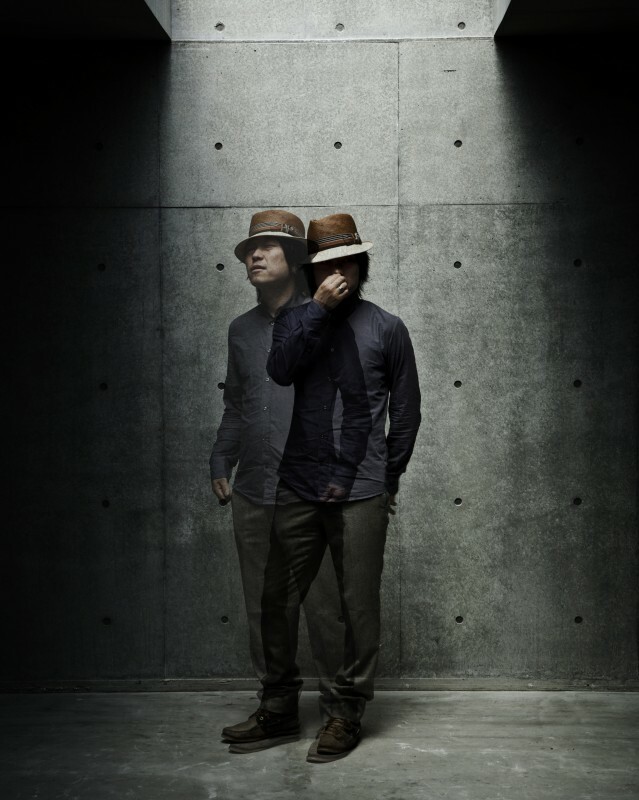 SugawaraDaisuke is an architect and an art-director office which is valued internationally. It specialises in urban design, landscape, architecture, interior, graphic design and branding. The office’s aim is to make our world beautiful and colorful by integrating different scales and elements. The cross-cutting creativity is based on global viewpoints and architectural background. 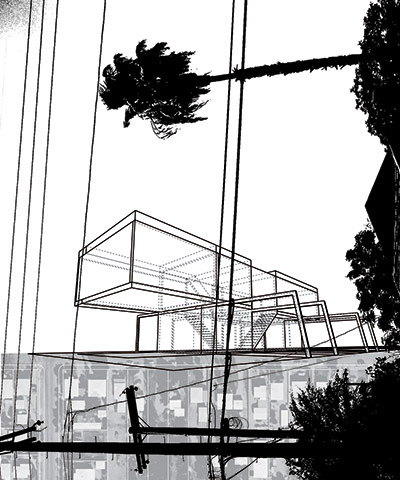 Daisuke has received numerous awards including: Architectural Designs Young Architects Award in Japan (2014); Architectural Designs of the Architectural Institute of Japan (2014); Selected 50 people building tomorrow’s Japan (“Zoom Japan” special issue) / FRANCE (2013); “44th Chubu region architectural Award” in Japan (2012); Silver Prize“JCD Design Award 2012″ in Japan (2011, 2012); The Best 100 works “JCD Design Award 2011″ in Japan (2011). Creative Mart held in the courtyard of PMQ is the one stop destination for an incredible array of local and unique products. From gifts, to stationery, to housewares to clothes, there will be no shortage of excitement and discovery as we present some of Hong Kong's most promising artistic talents. Join us as we stimulate awareness and appreciation for original designs amongst the local community and allow designers to garner greater exposure to their target customers and enrich their understanding of retail markets. Diamanti Per Tutti proudly presents the ‘A diamond only for me’ collection by Nedda El-Asmar. Nedda is an acclaimed silversmith, Belgian designer of the year and creator of numerous timeless pieces for Hermès, Puiforcat, Eternum,... Until recently she taught jewelry design at the Royal Academy of Fine Arts in Antwerp. Nedda’s adagio ‘seemingly simple shapes’ perfectly describes the collection. Feminine, timeless, subtle yet very technical designs whereby the diamond(s) are set inside two perfect circles so that only the proud owner can see them. Diamanti Per Tutti is an Antwerp (Belgium) based brand, offering fashionable diamond jewellery. An interactive book installation in response to the excess in society - a contemplation of how book publishing and bookshops can be sustained - about one thousand books displayed & free for visitors. InnoVentum is a Malmö-based company focused on developing and commercialising the world’s most environmentally friendly, resource-efficient and aesthetically compelling solutions for decentralised renewable energy production. In close collaboration with Lund University, Faculty of Engineering (LTH) and École Nationale Supérieure des Technologies et Industries du Bois (ENSTIB) in Epinal, France, we have developed and patent-protected different wooden tower solutions for renewable energy installations. Born in 1975 in Tokyo, Japan. After graduating from Art school, he worked at Hiromura Design in 2007. He established 6D in 2007. 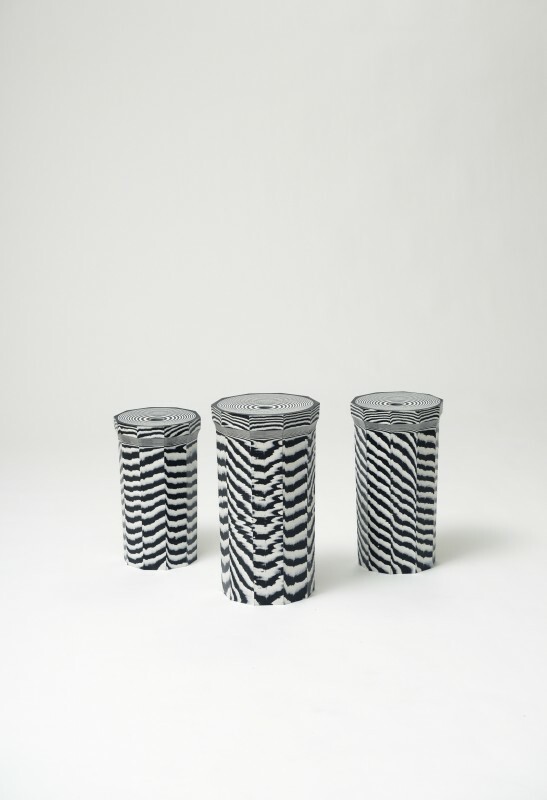 In 2011, he　conducted his first solo exhibition “HANDMADE GRAPHIC”. D&AD Yellow pencil, one show design Silver and Bronze Prize, Cannes Lions Gold Lions, red dot award, DFAA (Design for Asia Award) Silver Prize, ADC Award, JAGDA (Japan Graphic Designers Association) New Design Award and more. 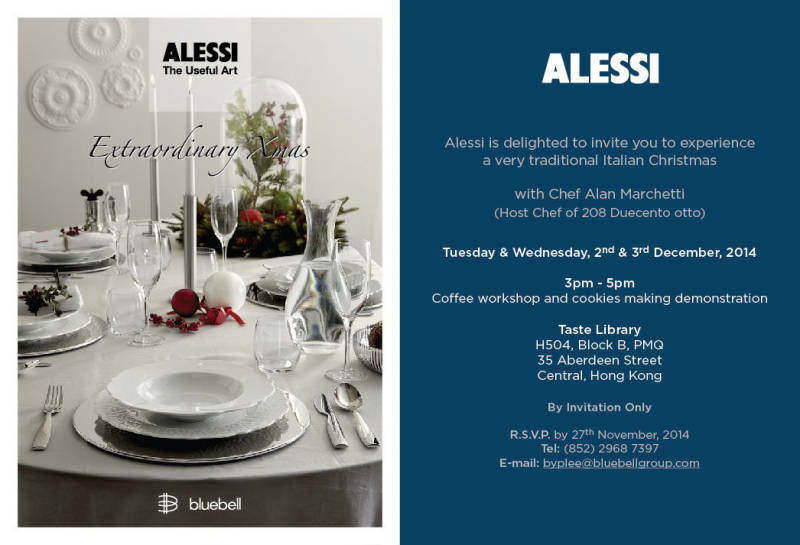 A group of Swedish and Hong Kong architects will gather in PMQ taste library for a food workshop. The purpose is to share experiences and expertise, establish relationships and build future collaborations in joint issues. The topic that will be discussed is design for sustainability and how to achieve a more people-friendly and inviting environment, where you put the person in center. 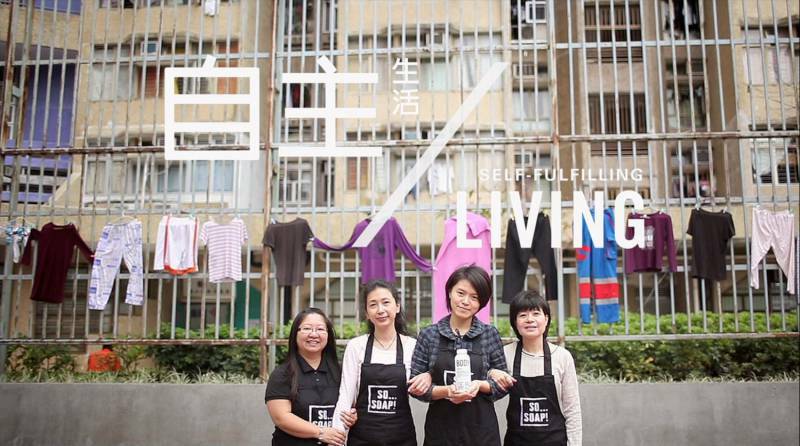 Hong Kong Public Space Initiative (HKPSI), a charitable non-profit organization, promotes public space through research, educational and community events. We strive to bring the knowledge of public space to the public realm, thereby allowing people to understand its significance and encourage better use of this valuable asset. 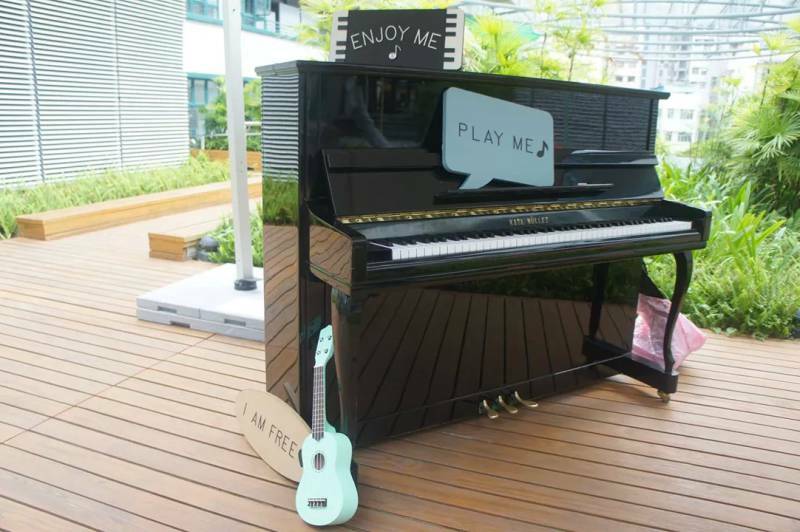 “Play Me if you want” is brought to you by Hong Kong Public Space Initiative (HKPSI). 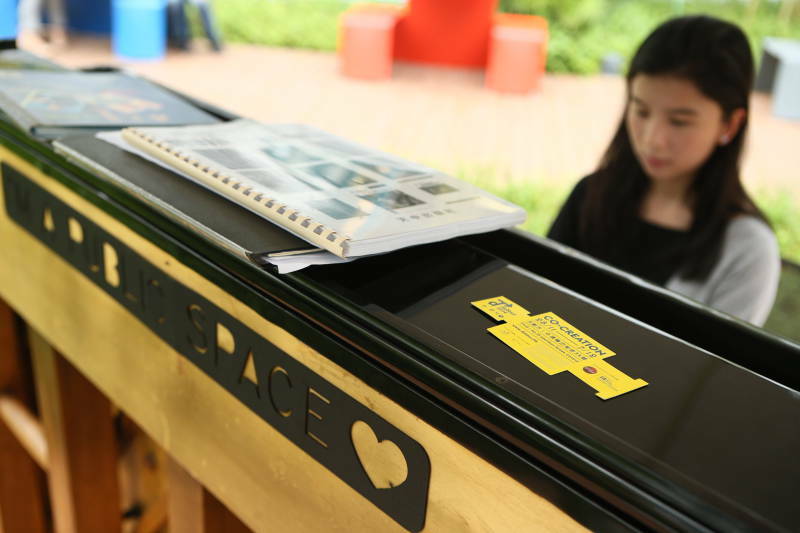 Inside the landscaped open space at the 4/F Plateau of PMQ, you are encouraged to pick a musical instrument like the piano or guitar and “co-create” your masterpiece with your friends, or even a newly-met stranger! We aim not only to enhance social interactions at public space, but also to provide you an opportunity to ignite your creativity to utilize public space with art and music. Emerge yourself into our music wonderland and enjoy the “jamming” moment. You will discover infinite possibilities in this public space!